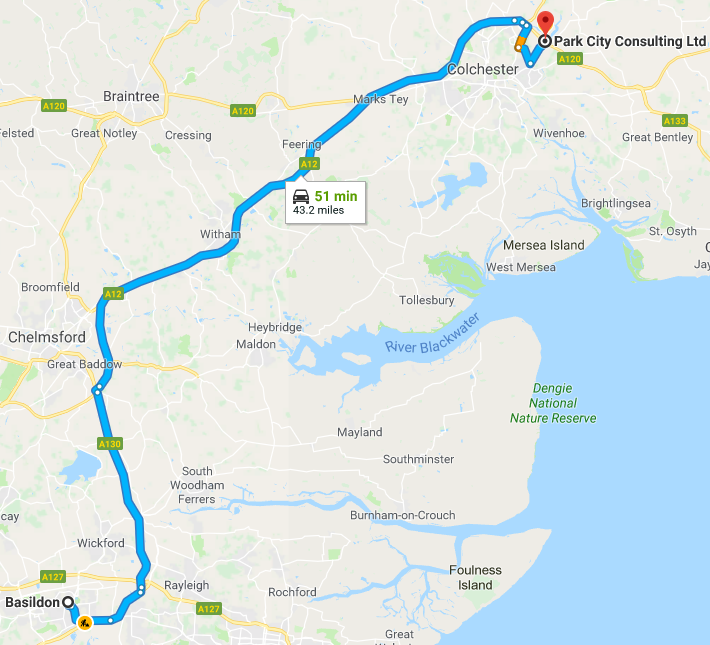 From Basildon, we are less than an hour away from you at Park City in Ardleigh, Colchester via the A130 and A12. From the train at Basildon, head to Upminster, change at Romford, and onto Colchester. It is a quick 15 minute taxi journey from Colchester.